The Mission and Purpose of the California School Psychology Foundation is to promote and advance the efficacy of School Psychology practice through scholarship and education, research and training, and outreach to educators, parents and the community to improve the wellbeing of children and youth. The Foundation awards the Paul Henkin/Suzanne Fisher Convention Award and the Cultural and Linguistic Diversity Scholarship at the annual CASP Fall Convention. Awards for the Foundation’s Mini Grants are made throughout the year, as are special contributions to causes that support children and education. Established as a 501 (c) (3) entity, the California School Psychology Foundation continues to seek funding so that it may pursue its mission to promote excellence in school psychology. 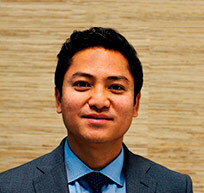 Here are the stories of some of those who have benefited from the CSP Foundation. Each year, the CSPF adheres to its commitment of actively supporting and recruiting culturally and linguistically diverse potential future school psychologists by presenting the Cultural Linguistic Diversity (CLD) Scholarship. The Foundation established the $1,000 award in recognition of the need to eliminate racial and other prejudice and help each student achieve his/her fullest potential. The scholarship is renewable for two years or until the student graduates. Applicants who have progressed to the second year of an accredited school psychology program in California and are a member of a culturally diverse minority group are encouraged to apply for the scholarship. Candidates are evaluated based on academic competencies, oral and written communications skills, community involvement, commitment to working in the public schools as an agent of change, and evidence of the knowledge of the demands of the vocation of school psychology. Help the CSP Foundation continue its promotion of a cultural and linguistically diverse pool of school psychologists by donating to the CLD Scholarship. Your donation may be tax-deductible; check with your tax advisor. Dr. Rob Douk, founder and CEO of Behavioral Health Works: Treatment for Autism and Related Disorders and 2006 award recipient. 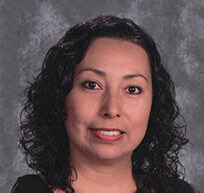 Monica Herrera, Menifee Union School District psychologist and 2006 award recipient. 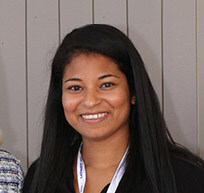 Nicole Edwards, San Diego State University student and 2014 scholarship recipient. Paul Henkin was a Los Angeles Unified School District school psychologist who left a legacy scholarship to demonstrate the importance of continuing education. Suzanne Fisher was a CASP executive director who ensured that the annual convention provided relevant continuing education to California school psychologists. The Paul Henkin/Suzanne Fisher Convention Scholarship pays for one CASP student member and one CASP member who is a first-year school psychologist to attend the annual convention. Continue the legacy by donating to this fund today! 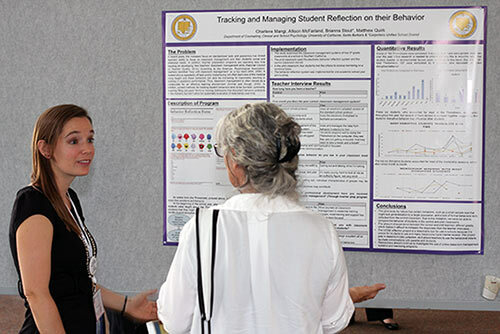 2014 Paul Henkin/Suzanne Fisher Scholarship recipient, Charlene Mangi presented her poster, “Tracking and Managing Student Reflection on their Behavior” at CASP Fall Convention 2014. The mini-grant program has been developed to provide financial support for projects designed to provide direct benefit to students. Projects must include children as participants and should promote the development of positive assets in children and youth. Funds are not awarded for such things as consultants, salaries, travel expenses or equipment. The purpose of the mini-grant project is to promote effective interventions that address both learning and social/emotional issues that impede a child’s success and happiness while embracing individual and group differences in children. The Board is most interested in projects directly affecting the lives of children and/or their families. All projects consistent with this purpose will be considered. Projects will be selected by a review committee, according to the merit and compliance with the program’s purpose. Access the Mini-Grant application from the link below. The rubric used by the CSP Foundation Board to determine successful applications is also linked below. Annual deadline is September 1. The eScrip program also provides more direct financial support for the CSP Foundation. By registering your credit cards through eScrip, the CSP Foundation can earn up to 2.5% of the cost of your purchases made on those cards. These donations come from the merchants; you pay nothing. The contributions will assist with the CSPF Mini-Grant program. View more information about this program or visit escrip.com. Enroll your credit cards on behalf of CA School Psychology Foundation eScrip Group ID – 500000472.